The phonepocalypse is almost upon us. On Tuesday, Sprint announced the long-awaited release date and pricing information for the forthcoming Palm Pre smartphone. 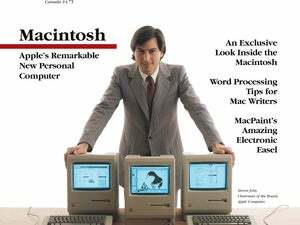 The Pre has been positioned as a prominent challenger to the iPhone, and that’s reflected in its launch date of June 6, just two days before the beginning of Apple’s Worldwide Developer Conference, which is expected to feature more in-depth information on the new iPhone OS 3.0 software. The other big question circling the Pre has been pricing: would it be competitive with the iPhone? Sprint now says the Pre will sell for $200, though, as with the iPhone, you’re required to sign up for a new two-year service plan at the time of purchase. There’s another catch as well: that price is after a $100 mail-in rebate, bringing the total at time of purchase to $300. The Pre’s specs are very similar to the entry-level iPhone’s, with 8GB of onboard storage, 802.11b/g Wi-Fi, Bluetooth 2.1 (including stereo audio support), a 3.1-inch touchscreen, GPS, and a 3-megapixel camera. In addition, the Pre sports a slide-out QWERTY keyboard, a 3.5mm headphone jack, and sensors for ambient light, acceleration, and proximity. 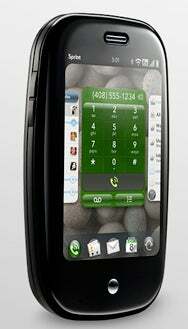 The Pre runs Palm’s new WebOS software, which it first demoed at the Consumer Electronics Show last January. That two-year contract has to be for either one of Sprint’s Everything Data plans or one of its Business Essentials with Messaging and Data plans, which both start at the same price of $70 per month, including unlimited data and messaging. Those looking for one of the Pre’s flashiest new features, the Touchstone charging system, which allows you to recharge the Pre’s battery by simply placing the phone on top of the device, will have to pay extra, however: the complete Touchstone Charging Kit costs an additional $70.